The Government of Morocco has promoted the administrative decentralization and striven to apply and settle rural development process with participatory approach, but in Errachidia Province, staffing, budget and work experience are not enough to cope with this rennovation. Here, the Provincial administration, council of the province and communes are not yet functioning well to perform expected services because the rural communes are geographically scattered over the vast area. Either, almost all of local organizations such as Associations and Cooperatives have too recently been established to be able to realize expected activities. Hence, strengthening of local administration and rural institutions is essential. Besides, it is necessary to formulate an integrated strategy plan, shifting the administrative paradigm from conventional vertical administration structure to a mutually collaborating system among sectors to effectively promote development in this area. 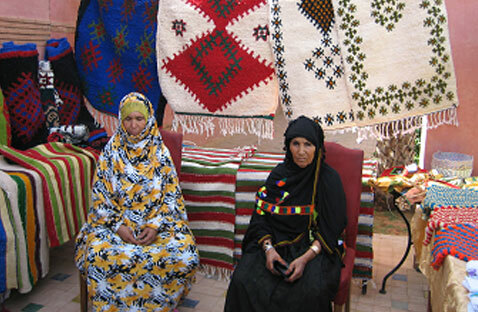 The aim of the Study is to find a way to improve the standard of living for rural people through creating and improving the income in Errachidia province located in the south-east of Atlas Mountains that is isolated socially and regionally in severe natural conditions and suffering from the poverty. The objectives of the Study are 1) To formulate Development Commune Plan (PCD), 2) To elaborate feasible and effective rural development plan (PRDP) of Errachidia province, 3) To propose improved measures for a process from the formulation of PCD and provincial development plan to implementing the projects, and for implementing organization/system through the Study and 4) To strengthen the capacity of the organization concerned such as administration of commune and province as well as Associations and Cooperatives through the implementation of the Pilot Project.